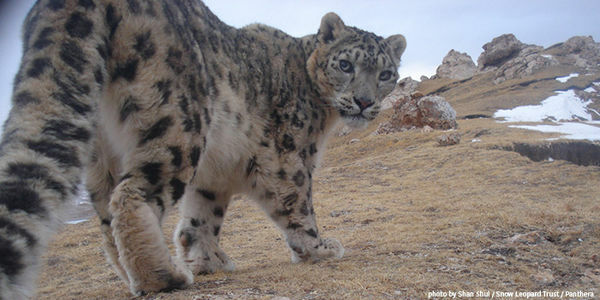 petition: Protect Snow Leopards, Keep Trophy Hunting Illegal! Protect Snow Leopards, Keep Trophy Hunting Illegal! Snow leopards need our help. While leaders across Central Asia have taken strong steps to protect these majestic animals, they need our support and urging to stand strong in the fight against poachers and wildlife traffickers. Alarmingly, reports show that at least four snow leopards are killed across protected ranges each week. Attempts have also been made in the past to legalize snow leopard trophy hunting and they may resurface again, a truly devastating prospect for the snow leopard population. Central Asian leaders must stand strong against the threat of trophy hunting, poaching, and destruction of snow leopard habitat, and they must further empower local communities to protect wildlife in their areas. Take action today, send a message urging leaders to reject trophy hunting and continue their efforts to protect the endangered snow leopard and its mountain habitat! Your nations are guardians of the snow leopard. Your citizens are the most important allies to these cats. Under the Global Snow Leopard & Ecosystem Protection Program, you have demonstrated your leadership in the conservation of the endangered snow leopard and its mountain habitat. One of the key elements of this program is to combat poaching and illegal wildlife trade of snow leopards and their prey. You have made great strides in training and equipping law enforcement agencies and harmonizing strategies to combat wildlife crime across borders. You've also taken steps to empower local communities to protect wildlife in their areas. I would like to congratulate you on these actions you have taken. They are urgently needed. At least four snow leopards are reportedly killed across their range each week. These numbers are alarming. I request you to continue to stand firm against poaching, illicit hunting and illegal trafficking of snow leopards and their prey, and ensure culprits face strict and uniform punishment irrespective of where they are. I also urge you to reject any calls to legalize trophy hunting of snow leopards. Snow leopard populations are in decline and the species continues to be at high risk for extinction. I further call on you to ensure that any legal hunting of wild snow leopard prey species such as ibex and argali is done is a sustainable fashion, follows strict regulations, and is regularly monitored by an independent body. These wild mountain ungulates are increasingly coming under pressure. When they are hunted in an unsustainable way, ibex and argali populations can decline rapidly, putting the snow leopard at even more risk. I am grateful for your stewardship to this beautiful, iconic animal and its mountain ecosystems, and I respectfully ask you to continue your efforts to keep the snow leopard safe for future generations.